Garrotxa is made in Girona, a north-central province of Catalonia. The region's mountainous and wet climate produces fertile pastures for the goats to feed on, in turn creating luscious and flavorful milk. 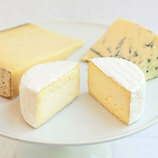 The original recipe for this traditional cheese was almost made extinct after government intervention with farming policies in the mid-1900s. This version of traditional Garrotxa thankfully reappeared on cheese counters around the globe in the 1990s, paying homage to the small production methods of the original. 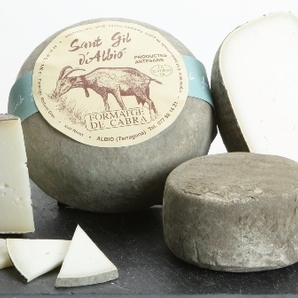 Garrotxa has a brilliant, snow-white paste and a firm, suede-like rind. It has a moist, yet almost flaky, texture that melts across your tongue. 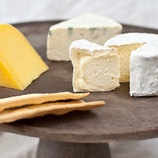 This semi-firm cheese is mildly herbal with the briefest whisper of damp earth that makes this goat approachable. 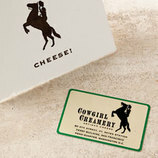 Its fresh milk taste makes it perfect for a cheese plate or a welcome, bright addition to an otherwise heavy dish.